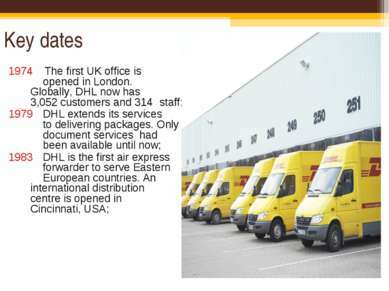 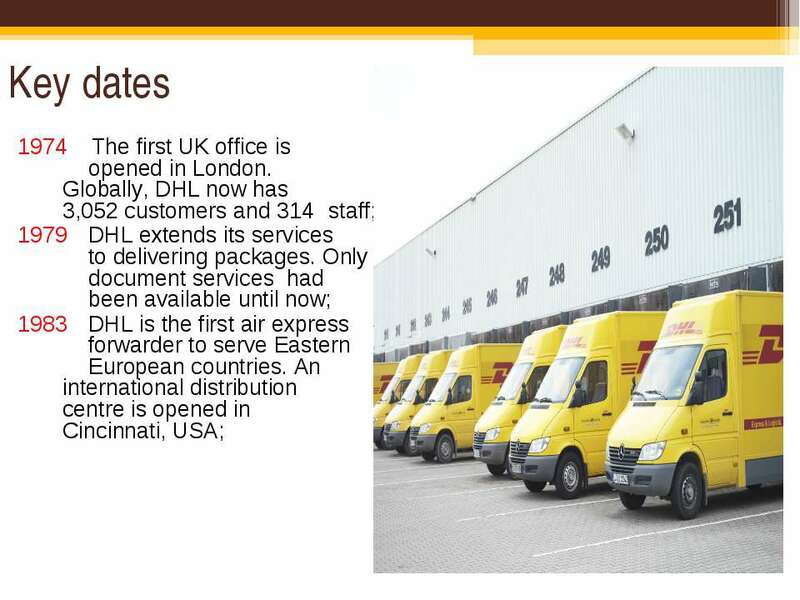 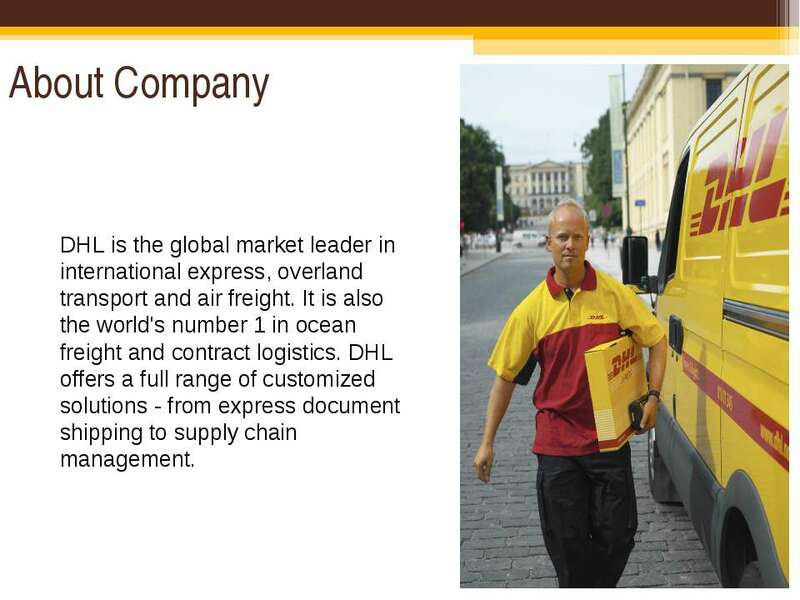 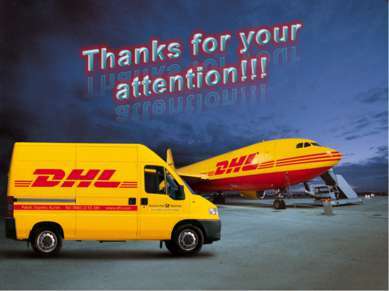 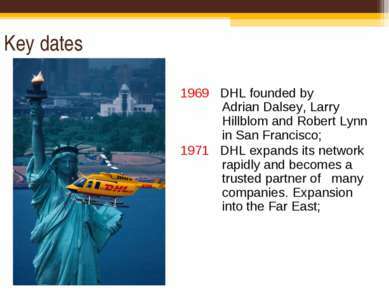 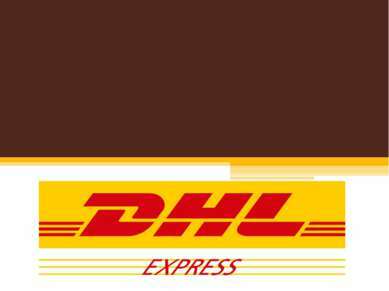 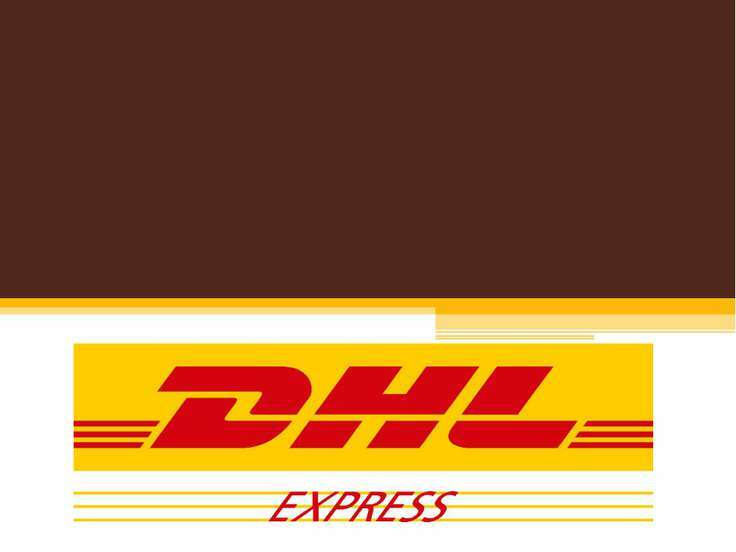 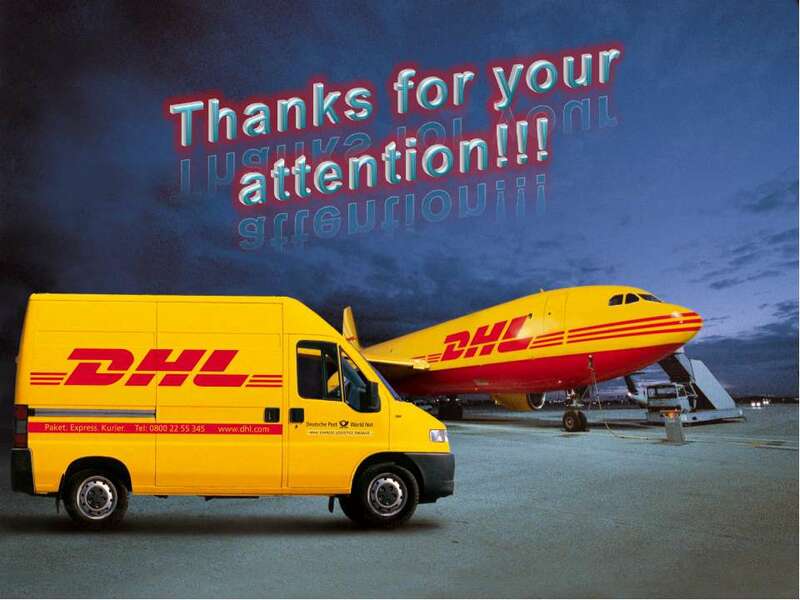 About Company DHL is the global market leader in international express, overland transport and air freight. It is also the world's number 1 in ocean freight and contract logistics. DHL offers a full range of customized solutions - from express document shipping to supply chain management. 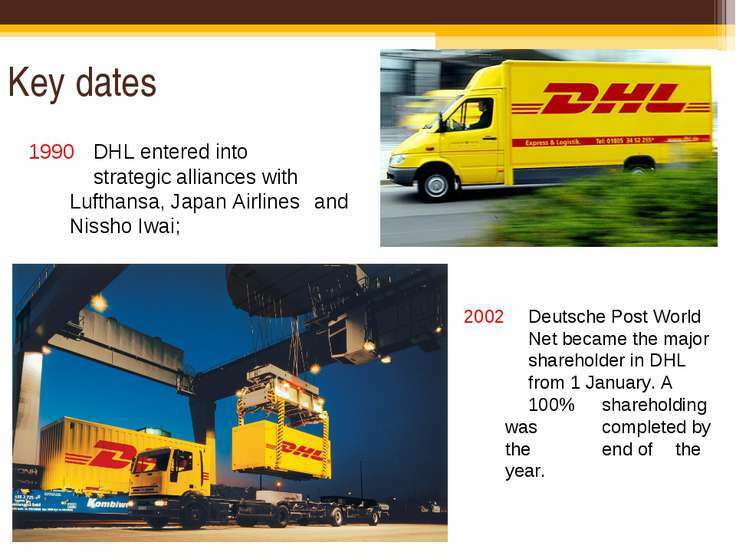 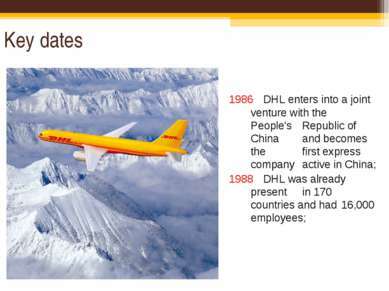 Key dates 1990 DHL entered into strategic alliances with Lufthansa, Japan Airlines and Nissho Iwai; 2002 Deutsche Post World Net became the major shareholder in DHL from 1 January. A 100% shareholding was completed by the end of the year. 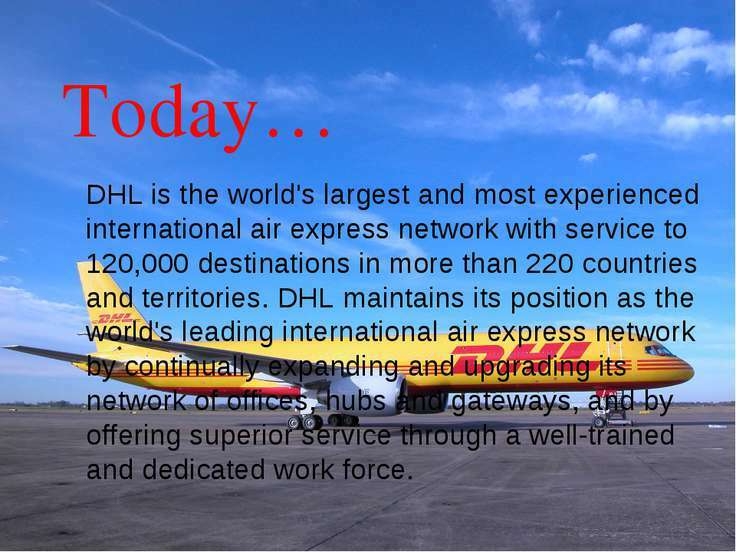 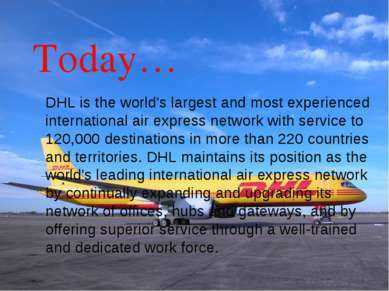 Today… DHL is the world's largest and most experienced international air express network with service to 120,000 destinations in more than 220 countries and territories. DHL maintains its position as the world's leading international air express network by continually expanding and upgrading its network of offices, hubs and gateways, and by offering superior service through a well-trained and dedicated work force.